The Girls Varsity basketball team posing with their championship plaque after a victory against Moffat County (47-33), naming them the Steamboat Shootout champions. Although football season has ended, there is still an opportunity to cheer on your maverick athletes — it’s basketball season! So far, the Boys Varsity Basketball team has won two of their games, but lost two as well. Senior, Derek Edwards shares that he is most looking forward to the game against Holy Family, because “there is a lot of mutual respect between us and it feels like a rivalry game because each team seems to be fighting for conference by the time we play each other”. Not only is Edwards excited to play against Holy Family because of the rivalry aspect, but because “it’s always a fun one to be apart of, and [they’ll] all re excited and ready by the time [the game] comes around”. 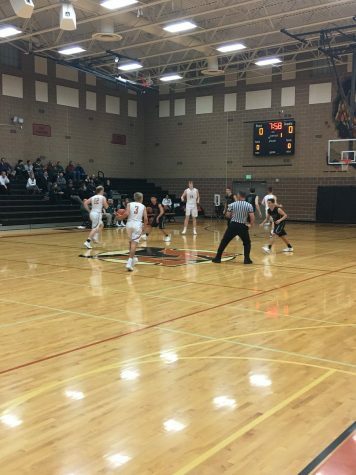 Unfortunately, the Boys JV Basketball team lost their first game against D’Evelyn, on Wednesday, December 6. However, things are looking up for Girls Varsity, as they have won five out of the six games they’ve had so far. 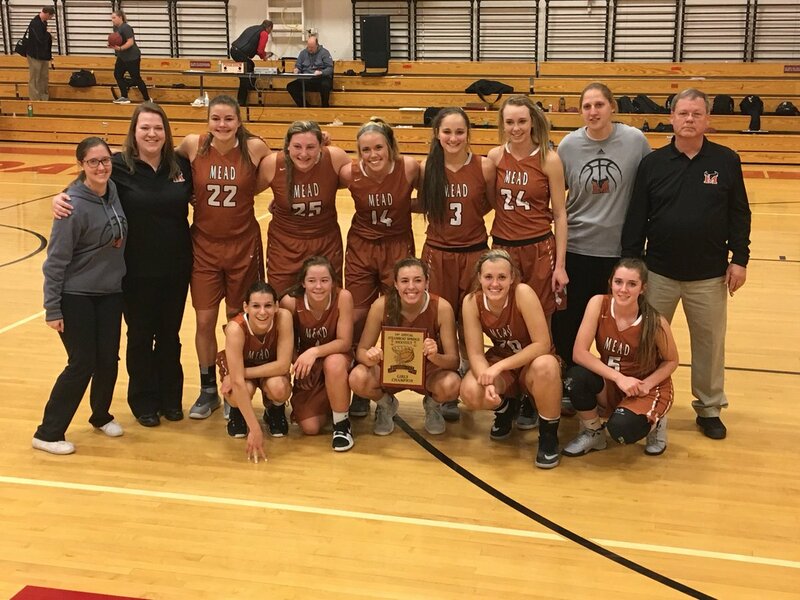 After having a weekend tournament in Steamboat, the Girls team came back as the ‘Steamboat Shootout’ champions, thanks to their 47-33 win against Moffat County HS. Even though both the Boys and Girls teams are starting their seasons off strong, it is clear that the season isn’t all about winning, as senior Anna Maher shares that her favorite part about playing basketball is that “[the] team is super fun, which makes playing the sport a lot of fun”. Don’t miss the next Girls Varsity home game, as they take on Roosevelt on December 19 at 5:30 in the main gym. You can also come out at 5:30 on December 15 to watch the Boys Varsity team fight for the victory against Pueblo Centennial.